On December 4th, a Qatar Airways flight flying from Washington DC to Doha had to divert to The Azores after serious turbulence. I wrote a story for Doha News about the incident, which included compelling images and tweets from some of the passengers, who told me that they felt “abandoned” by the airline when they were not initially given visas to exit the airport. 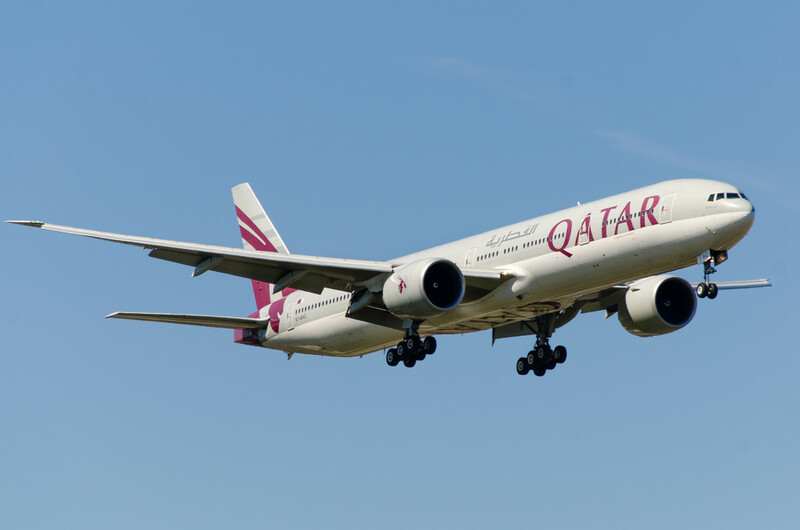 Earlier this month, a Qatar Airways 777 hit the Approach Lighting System at Miami’s airport on take off, causing “substantial damage” to the aircraft. Despite this, the crew continued the flight as normal and the aircraft landed safely in Doha. Significant damage to the aircraft’s belly was discovered by ground crew afterwards, and the accident was reported to the USA’s FAA, which is investigating. My resulting story for Doha News was incredibly popular. Click here to read it. 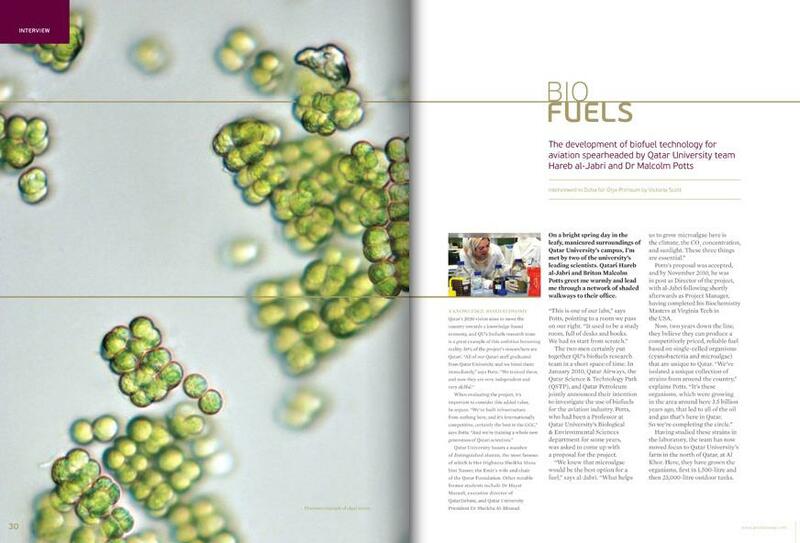 In last month’s Qatar Airways in-flight magazine, Oryx Premium, I wrote about an exciting aviation biofuels project at Qatar University, turning native algae into aeroplane fuel. You can click here to download and read the article . 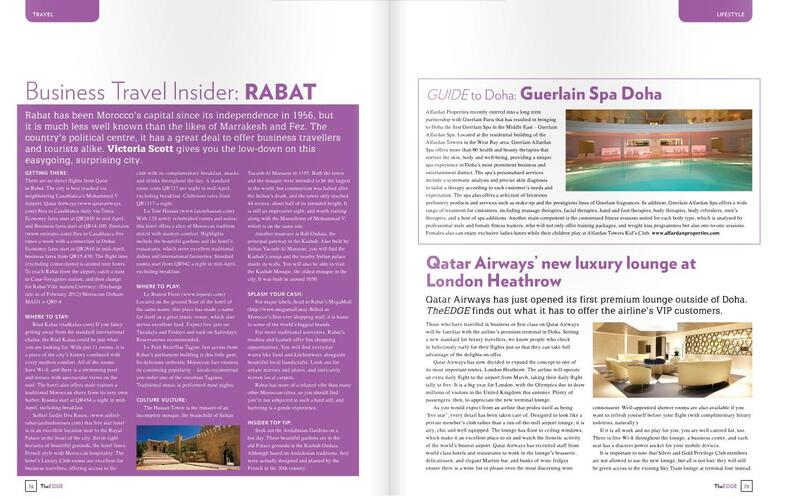 From me in TheEDGE this month: Rabat for business travellers, and a review of Qatar Airways’ brand new premium lounge at London’s Heathrow Terminal 4. Click here to read the articles.